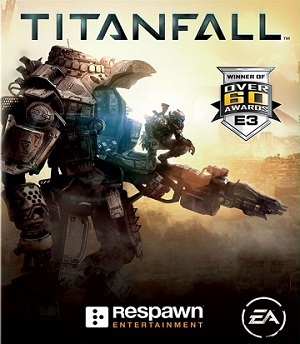 Over the last week, Respawn Entertainment has been holding a semi-closed beta for Titanfall on both the Xbox One and PC. I say semi-closed because it was totally closed on both platforms until this weekend when they opened it up for everyone on the Xbox One to try to stress the servers. I’ve spent about 5 hours or so online on the One playing, trying out everything that the beta has to offer, and I’ve got a pretty good amount of stuff I want to talk about. So this week and next I will go through my impressions from the beta and I’ll try to spin it forward to the full game. Today I want to hit some of the specific things – weapons, titans, maps, that sort of thing; next week I’ll go top level and look at the beta as a whole. So first off, let’s look at the maps in the beta. There are two maps that we can play in the beta – Angel City and Fracture. Each one plays a little differently, giving players a nice sample of different ways to play the game. In general, Angel City is much more close range, with lots more Parkour and verticality to it, while Fracture is longer range, more wide open with a lot of room for Titan combat. Angel City was shown last year in the first gameplay trailer, so it’s the one I think most players were familiar with going into the beta, and I believe Fracture was teased a while ago via a piece of concept art that looks a lot like the loading screen for that map. I’ve played each map a bunch of times, on all three modes in the beta, and depending on the gamemode, your tactics will definitely shift a bit. Angel City is tailor made for high mobility, high firerate/close range weapons, while still allowing longer range fights to take place. The most important thing to remember is to get high, as fast as possible – using the parkour system is easily the most important tactic while you are on foot. It’s a big shift from Call of Duty/Battlefield bringing back vertical combat to arena size shooters. Most buildings in Angel City have at least three different levels, and multiple entrances that take advantage of the system. Fracture is almost the polar opposite – it still has spots where the parkour system comes in really handy, but in general the map has a lot longer sight lines, and huge chunks of open ground. It’s the better map to try out the sniper rifle on – there are a couple really strong sniper perches that can be reached from either spawn really quickly. I also think that Fracture is where Titan combat really shines. In Angel City, because of the close quarters, Titan combat can be a little insane; but on Fracture, there’s enough space for you to try out a bunch of different tactics, using different weapons and abilities on your Titans. It’s not uncommon on Fracture to see a fight with multiple Titans engaging multiple Titans on the other team – which is both awesome to witness, and awesome to actually take part in. So the maps each play to different strengths weapon-wise, so let’s talk about the weapons in the beta. There are five primary weapons and two sidearms available to use, unlocked over the course of the 14 levels in the beta. They hit the standard FPS fare, but the way that they implement them feels really natural in the context of the game. The assault rifle, the R-101c Carbine, is a good option for mid-long range combat, it works well on both maps, and with the silencer attachment it makes for some good surprise attacks. The EVA-8 shotgun is a really satisfying shotgun – short range, but really strong. The R-97 SMG is a nice SMG – great in close quarters on Angel City, and a great rushing weapon. The Longbow sniper is interesting – the way that sniping works in Titanfall will take a little getting used to for veterans of Call of Duty, quickscoping is all but impossible thank God. That said, the actual rifle performs really well once you get used to it. The last primary is the Smart Pistol MK5, which is a really cool weapon – while you are holding the weapon from the hip, it will lock on to enemies, then you just need to pull the trigger. It takes a bit longer to lock on to other players, as a balance, but it’s a great stealth weapon for sure. Both sidearms are really great pistols, one full auto, the other semiauto but strong and still can be fired quickly. The other options for custom classes are your anti-Titan weapon, a tactical ability, grenades, and your kits, which are passive abilities. There are two anti-Titan weapons, the Archer and the Sidewinder; the Archer is a strong lock-on launcher, the Sidewinder is a rapidfire mini-missile launcher. The two tactical abilities are active abilities that are activated with Left Bumper; the Tactical Cloak and the Stim. The Cloak is really strong against Titans and the A.I. but less so against players; the Stim lets you run, jump and wallrun much faster – could get you out of trouble in a hurry. Again, there are two grenade types – a standard frag grenade and an electric grenade for hurting Titans. The Kits are a little more varied, and act as passive perks – like having extra grenades, or a shorter recharge on your ability. Lastly I want to talk about the Titans a bit. They’re a huge part of each match, and I really think that going in I was worried that they would just overpower and unbalance the game, but thankfully that’s not at all the case. Each pilot starts a match with a countdown to their Titan being ready, which can be reduced by getting kills, hits, captures and burn cards. Playing as a Titan really is just an extension of playing on foot – just in a giant mech. There is only one chassis offered – the Atlas, which has the unique ability of Damage Core, which boosts your damage when you activate it. But there are three different weapons that your Titan can equip, as well as two off-hand weapons, and two active abilities, and a few passive ones as well. The weapons are a machine gun, a 40mm cannon and a quad rocket launcher – each plays a little differently, and each has attachments that can boost their effectiveness. Off-hand weapons are either a flurry of unguided rockets, or a set of locked on missiles – great options while reloading your primary weapon. The active abilities include the Vortex shield, which lets you grab rounds being shot at you and fling them back, or the Electric Smoke – a fantastic option if you’re outnumbered to get away, and also gets players off of your Titan. In general the passive abilities mainly affect what your Titan will do when it’s doomed, including a huge explosion that will do some serious damage to anyone nearby. Titanfall is still a few weeks off, releasing on March 11, so this beta is a great little tease for players and a fantastic way for Respawn to test their end of things. Now that it’s open on the Xbox One, there really isn’t any excuse to not try it – it ends on Feb. 19 so get it quick though. I’ll talk more about it next week, looking more at how I see it fitting in in general with other FPS games, plus a bit more about my overall impressions from the beta.